When approached by Castlehouse Construction to build a quirky, custom-made website with a twist, we were excited to get creating! The twist? The site HAD to be Art Deco-inspired. The outcome? 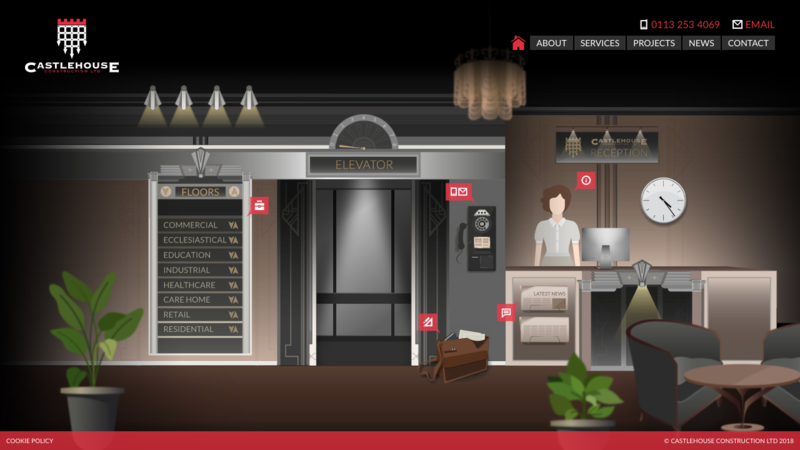 A beautifully unique, interactive website with bespoke Art Deco illustration. As tempting as it can be to start building, it was imperative to carefully research suitable styles and it wasn’t long before we had a solid basis to work from. 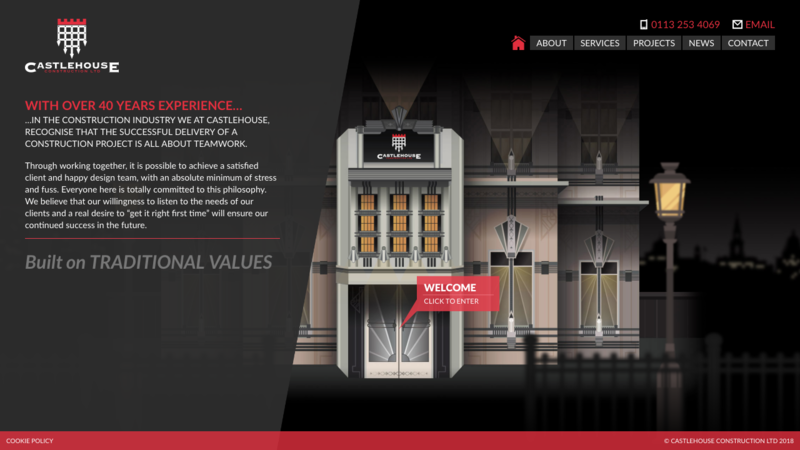 As always, we worked closely with Castlehouse Construction to ensure that their vision was truly realised. After concentrating on creating unique illustrations from scratch, our team of creative designers set to work transforming the graphics into workable, interactive website commands with the Art Deco twist truly portrayed. In addition, we were also tasked with creating business cards and brand stationery for the linked brand, Washburn Developments. Although a separate entity, the decadent Art Deco colour scheme was to be utilised once more – the result was smartly branded stationery with a hint of gold, making for beautifully minimal results with a modern feel. The high-quality end products really make the bold statement the design brief asked for. 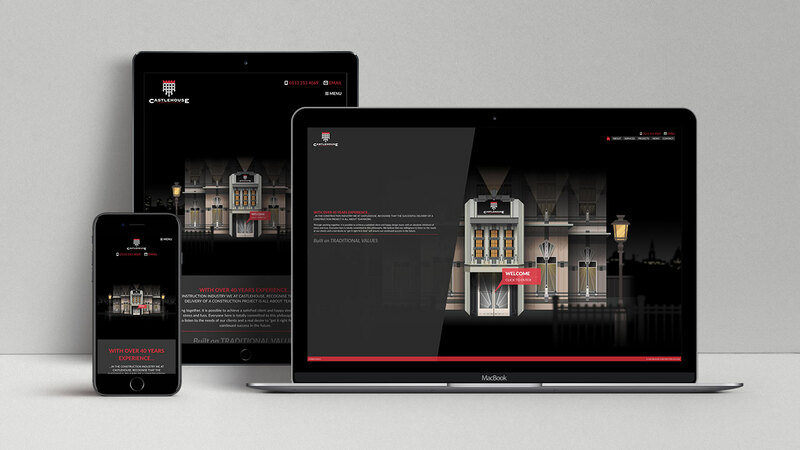 We like to think of the final result not only as a user-friendly website, but also as a dynamic piece of art! So, whether you’re looking for a custom-built website with your own twist or just a clean, straightforward WordPress-driven website, our team are on-hand to advise and support you. If you’re also looking for some matching business cards, we can help with that too!